The reputation of Bandol wines is built on its long history, its breathtaking location makes the perfect place for Mouvèdre grappe. 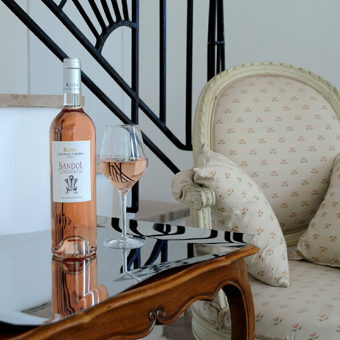 Bandol appellation could be considered as the”little Queen” of Provence. A nice melon colour. Citrus and peach are present on the nose. A dense mouth with a balance of fruits and fresh spices. A gastronomic rosé. Serve at 12°C. Hand picking at full maturity. Temperature controlled fermentation with pump over. 18 months of ageing in casks, blending. A deep ruby colour. Strong perfumes of black fruits and spices. 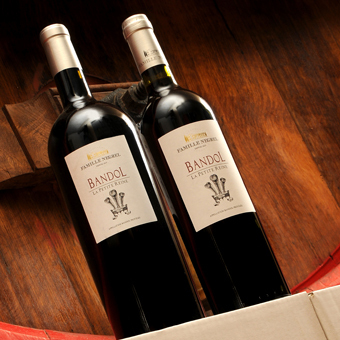 The mouth is round and opulent, with great character which expresses the true nature of Bandol red wines.